DANGER ADDING THIS TO YOUR WORLD CAN CAUSE DESTRUCTION LIKE YOU'VE NEVER SEEN BEFORE with the DEFAULT SETTINGS. Feel free to add this mod to existing worlds both single player and multiplayer. I have code in it that blocks Volcano formation in any chunk where a tileEntity already exists. Signs, chests, furnaces, and more are tileEntities and common in player builds. REMEMBER TO BACKUP FIRST THO! The goal of this mod is to allow vulcanism to exist in your world. What it does is when lava begins flowing near the player it will check to see if the block being flowed over has a smeltable output and if it does it converts that block. Flowing lava in the world now performs full in-world furnace smelting. Whatever block the furnace can smelt the lava can do as well. However, when lava smelts it also ejects the smelted item with a force in the adjacent detected direction. 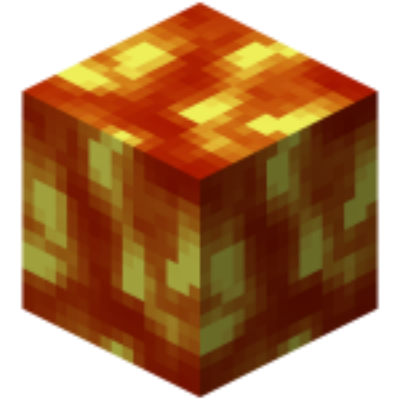 Lava also has a chance to consume flammable blocks and if it does generate even more lava and even an explosion. Configs have been added to allow you to manipulate everything that has a value in the mod that I felt was needed to make it work for 1.12.2-2.0.7. You can tweak the values up and down as you see fit. If you find one that works really well for you, please share it in the comments so the rest of the community might benefit. You can also control if Lava has access to furnace recipes. If you disallow it, then flowing lava can only consume flammables, generate more lava, and randomly explode if consumes flammables. When added to large packs where blocks of many types can be smelted to other blocks of many types the possibilities are endless. The mod by default will not allow lava dynamics to function in a village. You can control this in the configs and also adjust the scan range. Lava Dynamics will not operate in chunks that are not loaded and are also not populated. A player must enter the chunks where lava exists below y 10 (configurable) to trigger event checks to determine volcanic activity. Tile Entities in a chunk will by default prevent volcanos from erupting, other actions from the mod will still happen. Therefore a simple sign which is a tile entity will stop a volcano from erupting. We have ore being generated in the cone walls. We have lots of lava. We have lots of config choices. 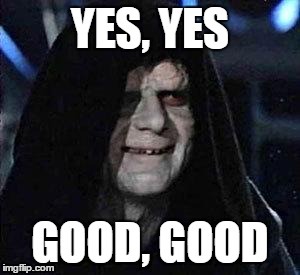 I've been studying the Hawaiian volcano eruptions that have been going on lately. I realize that the volcanos are in fact quite ugly. Not one of them appears like they do in the text book. That said it has caused me to add a significant number of things to the todo section. add a range to the tile entity checker for prevention of erruptions due to volcanos now erupting as large structures. Don't ask just add. A link back to this page would be appreciated but not required. Go ahead and please share the link so I can feature it. Your English is better than most english speakers. Thanks for the compliment. Yes, what you described is and has been planned for quite some time. Being the owner and only developer of the ever popular World of Dragons mod pack takes a lot of my time. Not just developing it but supporting it as well. I plan to fully implement these features in the next 60 days. Oh, this is so close to replicating a feature from way back in the day that I've been missing, and haven't found any mods doing: Lava smelting items that land in it, and those smelted items bouncing around on the surface forever until they land beside it or are picked up. It's one of those little things that could be a lot of fun (And indeed was a lot of fun). I think it might have even duplicated the smelting result, which would be a neat optional feature. Thank you for amazing mod! I can tell you did not try the mod out. The only thing I don't yet have from your requests is custom smelting conversions. Current you do a blacklist. You wouldn't want to disable your own furnace recipes tho. I'll finish adding the custom smelting mapping option in the next release. Current you do a blacklist. You wouldn't want to disable your own furnace recipes tho. I'll finish adding the custom smelting mapping option in the next release. I combined this mod with Localized Weather and Storms, and hung by an eruption while a tornado was in the area. One thing went over the other and next thing I knew, I was running from a tornado of extreme heat. Um, for some reason I no longer get Volcanoes. I used to get them all over the place and now; nothing. First, delete your config and let it regen. Second, change volcanochance from the default 20 to higher value. For instance on World of Dragons I use 60% chance. At 65% I am still only getting 1 tiny volcano. I am using lostcities for world generation but that was not a problem before. I turned off chunk protection but that hasn't helped either. EDIT: Starting a map that does not use BoP allows the Volcanoes to spawn. It appears no volcanoes can spawn in BoP biomes? I have volcanoes spawning all over BOP biomes on World of Dragons. Also you should set the volcano size to large. Further volcanos are not world gen, they are dynamic gen. This means when you are present, ie entering a batch of chunks that have not yet been ticked, then all the lava in those chunks will receive an update and the percentages will run. To increase the likelihood that lots of volcanos will spawn leave and enter a chunk frequently. There's also the chance that there is no lava below y 10 in those biomes. Therefore you can set the y level of the mod to higher value like 30. This will give the mod access to even more lava for spawning volcanos. Why did you enable for the nether? It's by default disabled for the nether. Did you think to yourself, ooo, the nether its loaded with lava, wonder what would happen? and then you enabled it for the nether? Also read the description, the mod is not world gen, it's dynamic gen, it supposed to scare the hibbidy jibbidy out of you with volcanos erupting everywhere. "Why did you enable for the nether?" "It's by default disabled for the nether. " "Did you think to yourself, ooo, the nether its loaded with lava, wonder what would happen? and then you enabled it for the nether?" Learn by experience (i.e. the hard way) I always say..
"It supposed to scare the hibbidy jibbidy out of you with volcanos erupting everywhere." That's fine. But, in the nether it's more like a *ELE than scary! lol Like I said just an fyi not "knocking against" the mod. Maybe in the future add a config option to make the Nether crazy but NOT catastrophic.. Lol Thanks. Well, I'm glad you tried it. Only didn't expect anyone to complain about it because ... lava ... and the description of the mod which describes how the volcanos and plumes are formed. In order to support the config option you suggest would require that I adjust the code such that any chance to generate anything in the nether would result in factional chances to be generated. It might not make any logical sense. I'll think about the best way to approach this. "Only didn't expect anyone to complain about it because"
No, no. NOT a complaint just an observation\suggestion. It's your mod and your vision. "In order to support the config option you suggest would require that I adjust the code such that any chance to generate anything in the nether would result in factional chances to be generated. It might not make any logical sense." "I'll think about the best way to approach this." At least I got you thinking.. lol Maybe Lava Dynamics is just too much for the way the Nether generates? I'm not kidding when I said a "wall of lava". It stretched across the Nether where my portal spawn is. Any plans to make "spewing" lava? That would be cool. Thanks! Please describe or give images as to what you mean by spewing lava.